The challenges that space poses for political theory are profound. Yet until now, the exploration and utilization of space has generally reflected – but not challenged – the political patterns and impulses which characterized twentieth-century politics and International Relations. 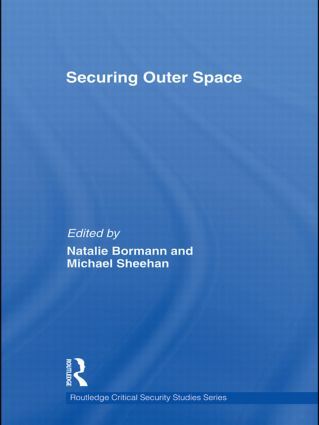 This edited volume analyses a number of controversial policies, and contentious strategies which have promoted space activities under the rubric of exploration and innovation, militarization and weaponization, colonization and commercialization. It places these policies and strategies in broader theoretical perspective in two key ways. Firstly, it engages in a reading of the discourses of space activities: exposing their meaning-producing practices; uncovering the narratives which convey certain space strategies as desirable, inevitable and seamless. Secondly, the essays suggest ways of understanding, and critically engaging with, the effects of particular space policies. The essays here seek to ‘bring back space’ into the realm of International Relations discourse, from which it has been largely removed, marginalized and silenced. The various chapters do this by highlighting how activities in outer space are always connected to earth-bound practices and performances of the every day. Securing Outer Space will be of great interest to students of space power, critical security studies and IR theory. Space weapons: Dream, nightmare or reality?